The premiere of the final season of “Game of Thrones” drew 8.1 percent more viewers than last season’s debut, an encouraging sign as HBO winds down its most popular show and prepares for the next chapter of the streaming era. 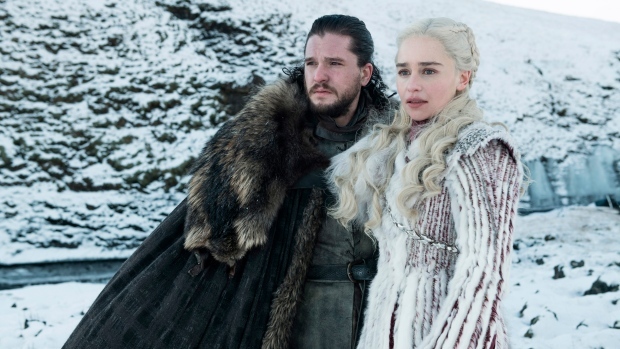 A record 17.4 million viewers tuned in for Sunday’s season eight premiere of the popular fantasy series, up from 16.1 million viewers who watched the first episode of season seven. It also was HBO’s biggest night ever for streaming, the network said. Fans of the medieval saga had to wait nearly two years for a new development after the showrunners wanted more time write the final six episodes. HBO doesn’t sell advertising so its ratings are less important to the channel than to those on basic cable or broadcast. But maintaining the popularity of the show is still important as HBO tries to attract more subscribers and develop a spinoff series. A boost in viewership this season could also help HBO promote other new shows. AT&T Inc. (T.N), which recently took control of HBO’s former parent company, Time Warner Inc., has said it will boost the network’s budget by 50 per cent. Later this year, AT&T will introduce a streaming video service in which HBO will play a crucial role, along with its other assets like TBS, TNT, and the Warner Bros. studio. Last season, “Game of Thrones” averaged 32.8 million viewers per episode, up from 25.7 million the season before.